Warehousing and distribution are an integrated part of GTL solutions, including receipt and put-away, storage, order pick, order pack, dispatching and stock control. 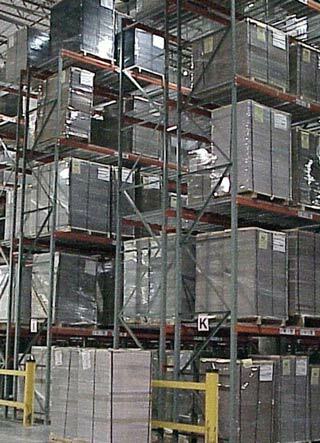 We provide warehousing as a component of distribution. Our objective is to optimize and streamline our customers' warehousing and distribution processes. To anticipate to the growing demands for warehousing and distribution we are fully prepared for any challenges that might arise. GTL services now offers short and long term storage facilities for our customer's cargoes. Our customers can look services including packing and redistribution, customs examination and clearance and also cold storage. Copyright © GLOBAL TRANS LOGISTICS (PVT) LTD 2013. All rights reserved.